Barefoot Resveratrol Anti-Aging Tonic: Anti-Aging-Resveratrol: We all have a Choice! 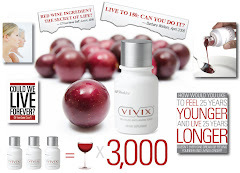 Anti-Aging-Resveratrol: We all have a Choice! Aging.. we all see it happen on the outside, but it really starts DEEP inside at the cellular level. The good news we have a choice to fight it.